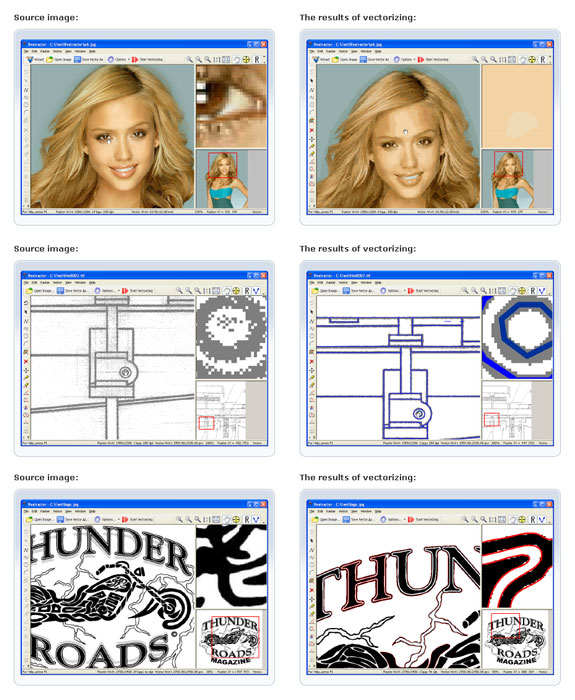 AutoCAD, Corel Draw, Adobe Illustrator, and many other vector graphics programs are powerful tools in any graphic artist's arsenal. Unfortunately, we don't live in a vector world, and many of the images that you would love to use in your work aren't available in vector format. Thank goodness, then, for Vextractor. 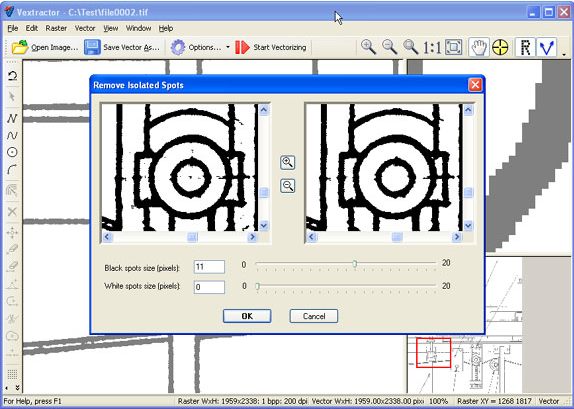 With Vextractor, you'll have the power to convert drawings, maps, photo, logos, and black-and-white illustrations from raster to vector formats such as DXF, WMF, EMF, EPS, AI and SVG. Vextractor even supports GIS applications by allowing you to save images to the ArcInfo Shape and MapInfo MID/MIF formats. With this much power in your hands, you'll never have to resort to hand-tracing or digitizing with a scanner ever again! 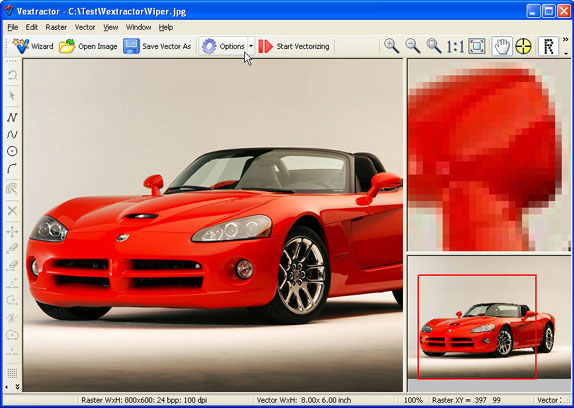 Vextractor even helps you improve the quality of your raster images to help with the conversion to vector format! 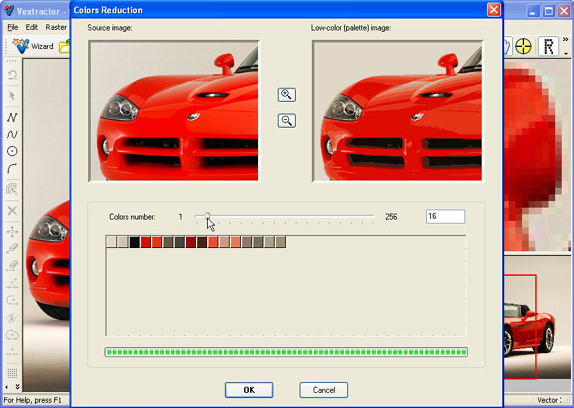 With special filters like median, despeckle, remove isolated spots or gaussian smoothing, you can improve the quality of the original image to ensure a better vector result. 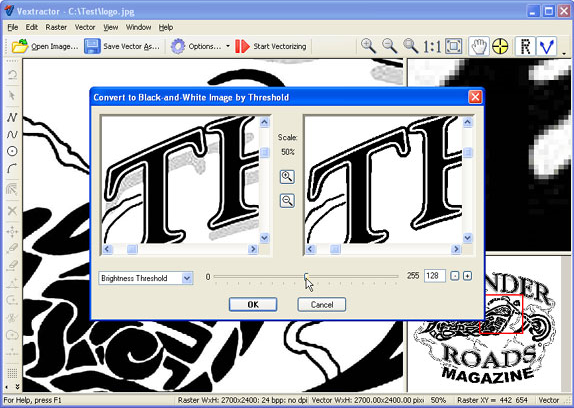 Vextractor automatically recognizes orthogonal lines, arcs, and circles, and can convert halftone and color images to black-and-white images for better translation. 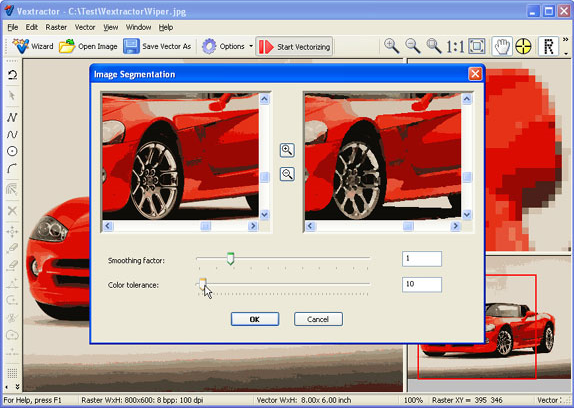 Once you've converted your image to the vector format, Vextractor has all of the tools you'll need to edit and modify your vector image! 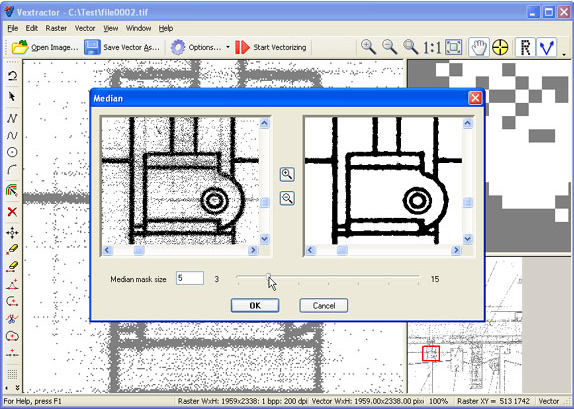 Convert drawings, maps, photo, logos, and black-and-white illustrations from raster to vector formats such as DXF, WMF, EMF, EPS, AI and SVG. 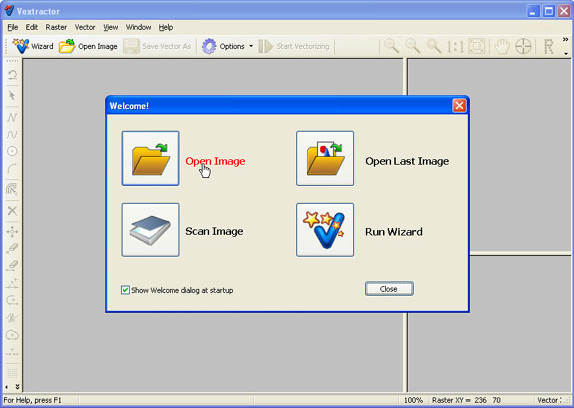 Convert many popular raster image formats, such as BMP, GIF, TIFF/GEOTIFF, JPEG, PNG, PCX, TGA, WBMP, PPM, PBM, and PGM. Supports GIS applications by saving images to the ArcInfo Shape and MapInfo MID/MIF formats. 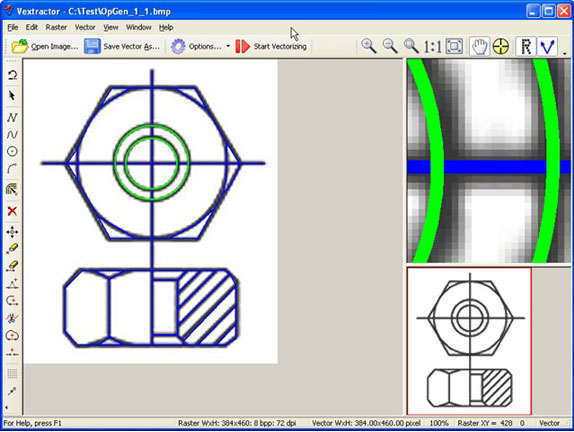 Improve the quality of raster images to ensure a better conversion to vector format. Modify and edit vector images. After you purchase Vextractor it may be used indefinitely. Vextractor is licensed per computer, and not per user. pestoking How does this product compare to using Live Trace in Adobe Illustrator? Anyone tried both and compared? This is certainly cheaper. Yet this offer seems permanent like a lot of other software with BDJ ! Constantin Florea @Christian User, I am sorry about the issue. I have just contacted the vendor asking for his help. Christian User Thanks Constantin ! Mike Morozov Fixed. Please try once again. Christian User Thanks Mike !